Hot tub and swim spa specialist distributor Catalina Spas has lined up a bumper batch of feature-rich product launches for British dealers to target the thriving wet leisure market this year including the Dream 600L. The new six-seater Dream 600L with a hydrotherapy lounger seat is manufactured by Dream Maker Spas in Florida and is being exclusively distributed in the UK by Salisbury-based Stephen Crabb and his Catalina Spas family-run team, including his son James. 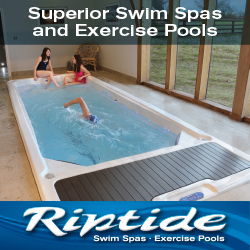 The seasoned wet leisure product distributor is now promoting the new model as being the ‘most innovative hot tub for 2016’ as part of its roll out to current and prospective dealers this spring. Coming in at 203cm x 203cm x 91cm with 30 Waterways Adjustable Stainless Steel Jets, the Dream 600L represents a cutting-edge step forward in hot tub manufacturing thanks to a specialist production process that uses Linea High Density Polyethylene (LHDP) incorporating a special ‘mica’ fill package, which produces a ‘metallic’ appearance. 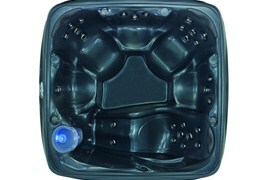 “This unique material combined with a specialist machined mirror finished moulds ensures the Dream 600L is a hot tub with all of the looks and feel of acrylic but with the impact resistance, durability and reparability of LHDP,” said Stephen Crabb. Another significant sales feature is the fact that the Dream 600L, which retails at £4,400 including VAT, achieves low running costs using the ECO Green Guard cabinet insulation and a Deluxe Super Seal safety insulation cover. “The Deluxe Super Seal cover is unique in that it is rebated into the shell giving double seal insulation and reducing the chance of being blown off,” revealed James Crabb. With a dry weight of 179KG and a water capacity of 1080litres, the standard features of the Dream 600L include: Ozone, Balboa Pumps and Controls, eight LED Cabinet Accent Lights, eight LED Perimeter Lights and a MoonGlo Waterfall with back-lit LED light. Available in six colour combinations, including Sterling White or Metallic Graphite and four-side feature panels, the Dream 600L has a five-year warranty on the shell and two-year warranty on the equipment and plumbing.